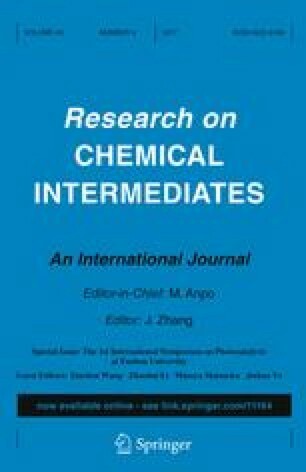 A facile synthetic route for the preparation of highly active tantalum oxide photocatalysts was developed without using any surfactants. The prepared products were characterized by X-ray diffraction, scanning electron microscopy, transmission electron microscopy, X-ray photoelectron spectra, thermogravimetric analysis, and Raman, and their activity was evaluated by photocatalytic H2 evolution under UV–Vis light irradiation (320 < λ < 780 nm). To elucidate the photocatalytic activity, the nitrogen adsorption–desorption isotherms experiment, ultraviolet–visible diffuse reflectance spectra, photoluminescence and steady-state surface photo-voltage measurements were performed. The recyclable photocatalytic properties were also conducted to demonstrate its high stability. Notably, the obtained samples prepared by direct evaporation are amorphous and own a large specific surface area, and furthermore exhibit a far greater photocatalytic performance than commercial Ta2O5. On the basis of the above experiment results, the enhanced photocatalytic activity of a-Ta x O y could be ascribed to the efficient separation and migration of photo-generated carriers as well as the higher energy of the conduction band minimum. Therefore, the direct evaporation synthesis opens a door to the facile preparation of highly active amorphous photocatalysts. Special Issue of the 1st International Symposium on Photocatalysis at Fuzhou University. This work was financially supported by NSFC (Grants 21025104, 21271171 and 91022018).